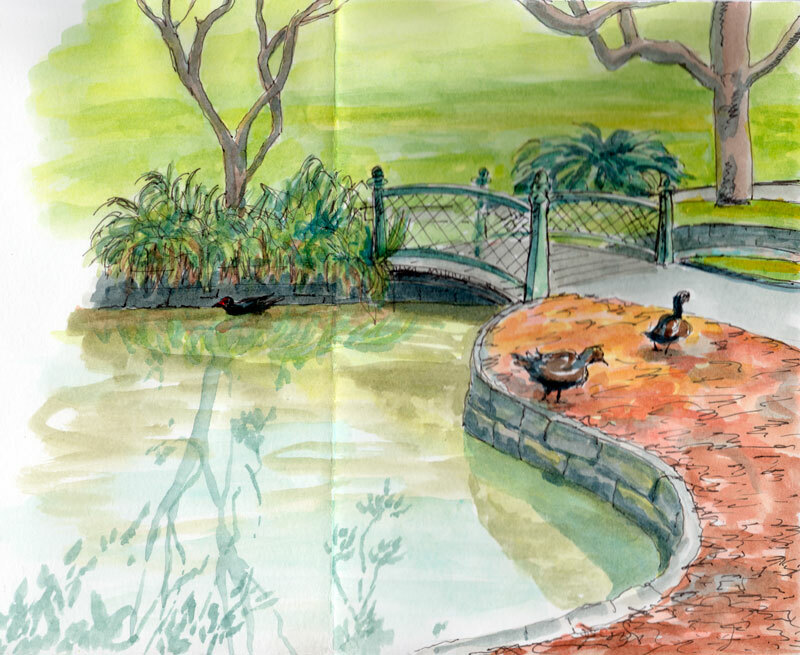 I drew this bridge between the twin ponds in the Royal Botanic Gardens, and some of the birds that wandered by. My favourite is the dusky moorhen on the water. They have a red face and a hooty-tooty call.